Growing a business in today’s constantly changing business environment requires CFOs to get more from the Purchase to Pay cycle that governs so much of the cash that moves through the business. 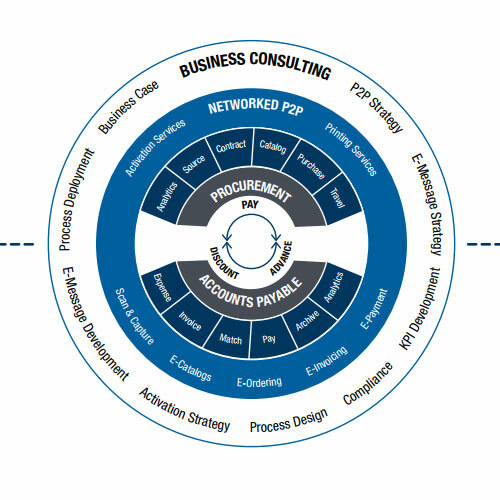 Networked Purchase-to-Pay solutions combine cloud-based business networks with automated accounts payable, procurement and payments capabilities to make access to financial services much easier for buyers and sellers. 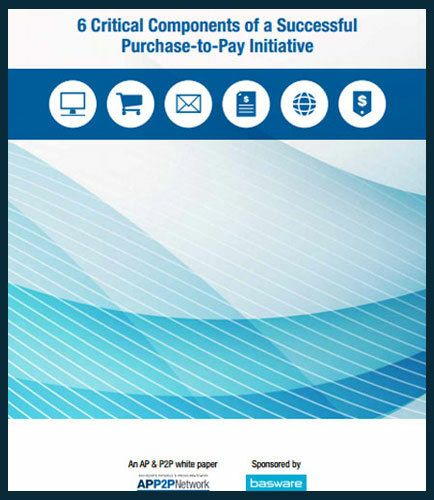 This whitepaper details the six critical components which must be considered by the businesses for ensuring the success of a Purchase to Pay initiative. e-procurement: Facilitates the purchase of goods and services through approved sources using an online shopping cart. e-invoicing: e-invoicing accelerate invoice cycle times to avoid late payment. e-orders: Networked Purchase to Pay solutions facilitate the electronic exchange of purchase orders, confirmations, and changes to orders between buyers and sellers. Global electronic payment: Migrating to electronic payments is the top automation priority of controllers surveyed by IOFM. As the electronic invoicing market becomes more saturated in large companies, the small and medium enterprise (SME) market, those with annual revenues under $250 million, continue to open up. Over the past year, PayStream analysts witnessed an increase in electronic invoice (eInvoice) adoption among SME’s, as well as an increase in workflow automation. New and improved innovations in eInvoice functionality including Software-as- a-Service (SaaS), free supplier portals, dynamic discounting and mobile transactional capabilities are the driving forces behind the increase in adoption in the middle market. More SMEs are now reaping the benefits that the large early adopters did, including reduced processing costs, increased invoice approval cycle times, improved cash management, and increased visibility, to name a few. In addition to more companies or (buyers) implementing eInvoicing, PayStream survey results reveal that eInvoice adoption has been of keen interest among suppliers. The number of suppliers that no longer submit paper invoices and have converted to eInvoicing has increased dramatically. Today more suppliers send more invoices to companies in electronic format that do not require data entry, resulting in a more efficient and cost saving invoice process. Solution providers are now catering to suppliers with aggressive supplier on-boarding programs and easy to use supplier portals. More eInvoicing providers are offering their services to suppliers at no-cost, in an effort to build their supplier networks and keep buyers and suppliers connected across the globe.